FRONT ROYAL, VA — Deep in the heartland of Indiana, nestled below the main altar of Sacred Heart Basilica on the campus of the University of Notre Dame, there lies a crypt housing a small altar, a few pews, a baptismal font, and the tomb of Orestes Brownson, one of the most interesting Catholic writers in American history. This writer was baptized at that font many years ago, so the name of Orestes Brownson has long been at home in my memory. Not so with most American Catholics, who are more likely to recognize the name of James Cardinal Gibbons, Cardinal Archbishop of Baltimore, and Primate of the Catholic Church in America — a man as important to the Church as the Founding Fathers are to our republic. The Rubble therefore welcomes American Church, the new work by Russell Shaw, one of this generation's finest commentators on Catholic culture. Shaw was the longtime spokesman of the "Conference," the bureaucratic headquarters of the U.S. Catholic bishops in Washington. This experience imparts to Shaw's writing an added depth seldom found among today's superficial inanities of the blogosphere. From the first page, American Church goes right to the heart of the issue which Shaw investigates. It's called "Americanism," a seminal flaw in doctrine and practice condemned by the Church, denied by its practitioners, and silently embraced and employed during a century and more of American Catholic history. What is "Americanism"? 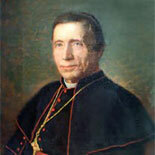 Shaw begins by citing an 1887 address by Cardinal Gibbons in Rome: "I proclaim, with a deep sense of pride and gratitude… That I belong to a country where the civil government holds over us the aegis of its protection without interfering in the legitimate exercise of our sublime mission as ministers of the Gospel of Jesus Christ." For Gibbons, America clearly is "God's Country." Shaw then poses the counterpoint, represented in a letter from Brownson to Isaac Hecker in 1870. Catholics as well as others imbibe the spirit of the country, imbibe from infancy the spirit of independence, freedom from all restraint, unbounded license. So far are we from converting the country, we cannot hold our own…. I have hitherto wished to effect a harmony of the American and the Catholic idea, but I believe such harmony impracticable except by sacrificing the Catholic idea to the national. Shaw's account offers a penetrating and revealing analysis of this tension as it played out during the past hundred years and more of American Catholic history. His focus on Cardinal Gibbons is not an accident — in fact, Shaw's original title (changed only on the book's cover) was The Gibbons Legacy — an appropriate focus for a seminal study that is both readable and indispensable to an understanding of the twists and turns on the road that the Catholic Church's pilgrimage through American history has taken. Shaw's account vividly addresses the issues of assimilation, isolation, and confrontation that are constants in the life of the Church everywhere. In Shaw's view, there has been too little confrontation and far too much assimilation, especially in recent years, as our once-Christian Republic has declined into modernism's swamp of egalitarianism, materialism, and narcissism. The golden thread of Gibbons winding through the fabric of Shaw's impressive work becomes increasingly tarnished and tattered with the passing years. Thus we find it curious that Shaw chooses to bypass one of Gibbons's most enduring legacies: the marriage of convenience between the Catholic Church and the Democrat Party, a marriage consummated a century ago which flourished — for good or ill — until only recently, when the existential tension between Church teaching and the Democrat agenda grew to explosive proportions and the harmonious gave way to the cacophonous. "Americanism" [is] a seminal flaw in doctrine and practice condemned by the Church, denied by its practitioners, and silently embraced and employed during a century and more of American Catholic history. How could the American Church go so wrong? Here Shaw shrewdly perceives "a Catholic variety of American Exceptionalism" at the foundation of this marriage of the religious and the secular. It is this very attitude of self-congratulation and independence which Pope Leo XIII addressed when he condemned the Americanist Heresy in his 1899 encyclical Testem Benevolentiae Nostra. Under Gibbons's adroit leadership, America's bishops denied that such a heresy had ever existed. But only a few years later, when the Great War broke out in Europe, Cardinal Gibbons deftly bypassed the efforts of Pope Benedict XV to bring the war to an early end. Instead, he enthusiastically proclaimed the Church's support of the government, and specifically of America's entry into the war, a conviction which he ardently shared with my father* on the campus of Catholic University in Washington D.C. during the winter of 1916-17 — months before President Woodrow Wilson declared war. In this rash embrace with Caesar, Cardinal Gibbons ignored the overwhelming opposition among American Catholics to entry into the war (a fact acknowledged by Wilson in his 1916 campaign, with the slogan, "He Kept Us Out Of War"). Instead, the cardinal assured Wilson that Catholics would fight in the war in greater numbers than any other denomination — and they did. It was then that Gibbons laid the groundwork for what became today's Catholic Conference — the bureaucratic bedroom, so to speak, which the bishops shared with the Democrat party. The relationship was so fecund that the longtime secretary of the Conference under FDR was called "the Right Rev. New Dealer." It later blossomed even more during LBJ's Great Society. Since then, it has sent billions of taxpayer dollars to various Church institutions every year. These days, however, the marriage is on the rocks. The generous financial support still flows from the Democrat side, perhaps designed to preserve the silence of the Church whose law (Canon 915) and Catechism (CCC No. 2272) require that Catholics, including politicians, who "formally cooperate" in abortion must be refused the Eucharist and excommunicated. Twilight? Or the Light of the World? Why does the Church tremble before Caesar, instead of the other way around? 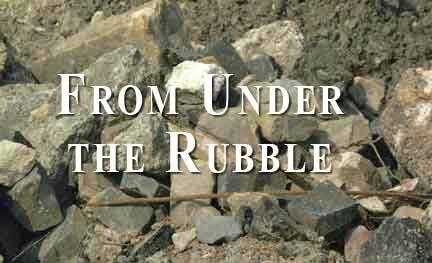 Here the Rubble turns to a vital insight from the late Robert Nisbet. In his Twilight of Authority, Nisbet observes that, as a culture declines and its sources of legitimate authority wither, government power grows to fill the vacuum. Shaw ably addresses the deterioration of the Church's exercise of its authority in several serious areas — education, sexual morals, and immigration, for instance — but he is silent regarding the impact on the Church of the Conference's critical, long-standing endorsement of the Democrat political agenda. ...the Church's weakness today might well be attributed in a great degree to its failure to exercise legitimate — nay, divine authority, and its dubious decision to grasp at political straws instead. That endorsement excludes the "life issues," of course – but curiously, not all of them. The conference has avoided altogether the critical issue of contraception, as Timothy Cardinal Dolan, the Conference's current president, readily admits. In fact, in its constant stream of propaganda advocating the welfare state, the bishops' conference routinely endorses legislation that authorizes hundreds of millions of taxpayer dollars annually for "family planning" — abortifacients, contraceptives, even abortion. This gnawing contradiction has hobbled the bishops in their efforts to oppose the controversial HHS Contraceptive Mandate, of course; but it also symbolizes the damage that their political marriage has inflicted on their authority, which comes not from Caesar but from God. The marriage with Caesar has put the Church in a precarious position. Now comfortably habituated to the billions their hospitals, schools, and charities receive from Caesar (a fact seldom mentioned to the people in the pews), Church leaders undoubtedly fear that those good works would cease, should chastised politicians shut the federal water off. Clearly, the bishops have not exercised their teaching authority in critical areas. Key Church leaders today admit that basic catechesis has been woefully inadequate for years, especially regarding the Church's teaching on sexual morality. According to Cardinal Dolan, the bishops haven't taught those tough truths for fifty years. In fact, he laments, after the damage caused by the abuse-and-cover-up scandals, the bishops literally have had "laryngitis" precisely on the issues that lie at the heart of the moral collapse of our culture. Here we see a critical feature which Nisbet and Shaw do not emphasize: in the Church's unique case, the problem is the decline of the exercise of its authority. Its authority is unsullied: after all, comes from Christ Himself, the Church's Founder Who is with us "even until the end of the age." That authority is alive and well — and unexercised. In fact, the Church's weakness today might well be attributed in a great degree to its failure to exercise that legitimate — nay, divine authority, and its dubious decision to grasp at political straws instead. In 1876, Shaw recounts, Cardinal Gibbons wrote that, "in possessing Catholic faith, I hold a treasure compared with which all things earthly are but dross." For the American Church today, that should constitute the true "Gibbons Legacy." *Publisher's Note: Christopher Manion's father, Clarence Manion, eventually became Dean of the Notre Dame Law School.